Summerlin South Computer Repair Service has been providing the best mobile computer repair in Summerlin South, NV and the greater Las Vegas Metro Area since 1999. The term "mobile computer repair" means we come to you, to your home or business, to resolve all your computer problems. 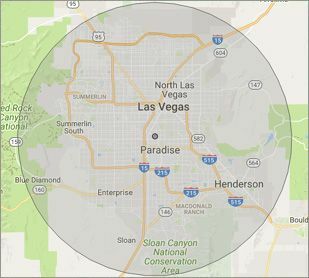 Why not use the #1 rated company for computer repair in Summerlin South, NV? "Tyler, found the problem while going through many steps, he is very thorough. We're are so glad he found the problem and fixed. He is very polite and explained everything he did." "Matt was very helpful, fixed my problem quickly!" "After a fake online service scammed me, I called for help. They came and cleaned my computer and got the scammers out. I appreciated their skill and expertise and would definitely use again." "William was excellent. We thank you very much." "Taylor came out to help with our laptop after we had an issue with a virus. He was very respectful and kind. Glad we put our trust in him, I would recommend to friends and family!" Who is Summerlin South Computer Repair Service? 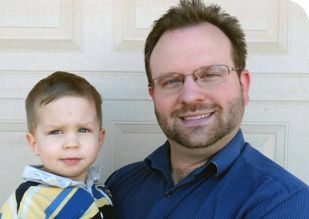 Summerlin South Computer Repair Service is owned by Matt Karls, an Electrical Engineer and a Computer Systems Engineer. We are a team of computer professionals focused on service and quality, all our work is guaranteed. If you have any computer, technology or IT problem in Summerlin South, NV we can fix it. We have been performing computer repair in Summerlin South full time since 1999. Feel free to give us a call or text us at (702) 800-7850. We have serviced Summerlin South and the entire Las Vegas metro area for over a decade. Our primary on-site mobile service areas include the Las Vegas metropolitan area, the Phoenix metropolitan area and the Tucson metropolitan area. We provide remote and mobile computer repair in Summerlin South, Enterprise, Henderson, Las Vegas, North Las Vegas, Paradise, Spring Valley, Summerlin and Sunrise Manor. Our mission is to fully resolve your computer problems quickly and affordably. If you want a Computer Engineer that can fix all of your computer problems instead of a computer tech, a computer geek, a technician or a computer guy that can only fix some of your problems; call us at (702) 800-7850. "Matt and Santino were very knowledgeable and helpful. They fixed all of my issues. I will definitely use your company and them again." "Excellent, all is working, amazing service!" "These guys are great! I have been using them for years. Always a job well done. No need to call anyone else." "The service I received today was absolutely outstanding. They arrived on time and the service was very professional. They were willing to explain to me exactly what was wrong and didn't speak to me like I was a complete idiot, which was refreshing."